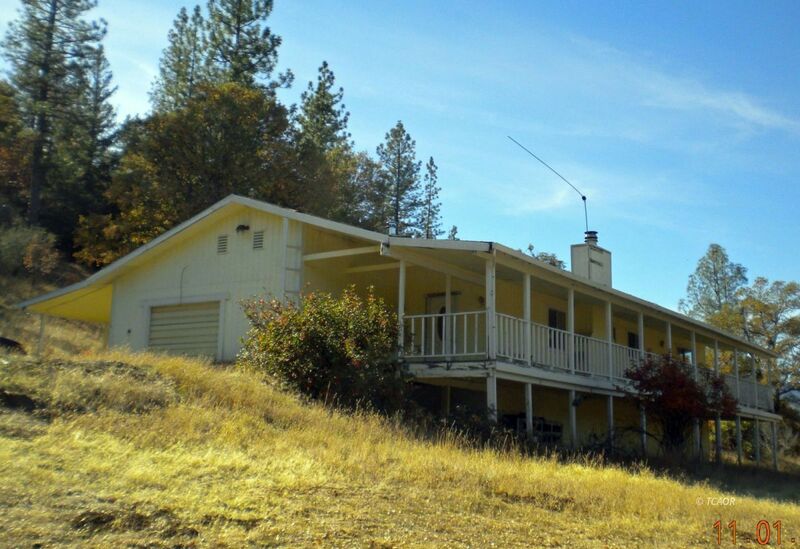 Amazing property with 22.07 acres in a ranching area of Douglas City. Enjoy spectacular views from this hillside home with open grasslands downhill. Nicely placed off the paved road to afford a sense of privacy. With an attached garage plus covered side patio there is lots of parking. The home is equipped with both central propane heat and a radiator system fueled by wood. Two of the parcels are wooded. The living room dining area has a large rock faced fireplace. Kitchen has ample cupboard space and skylight above the sink. The is also a large walk in pantry. Zoning is Unclassified, General Plan designation is Resource.